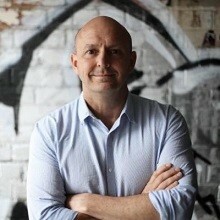 Dr Richard Denniss is the Australia Institute’s chief economist. He is an economist with a particular interest in the role of regulation. Prior to taking up his current position he was an Associate Professor at the Crawford School of Economics and Government at the Australian National University where he continues to hold an adjunct appointment. Richard has also worked as Strategy Adviser to the Leader of the Australian Greens, Senator Bob Brown, Chief of Staff to the Leader of the Australian Democrats, Senator Natasha Stott Despoja, and lectured in economics at the University of Newcastle. Richard has published extensively in academic journals, is a frequent contributor to national newspapers and was the co-author of the best selling Affluenza (with Dr Clive Hamilton) and is the co-author of An Introduction to Australian Public Policy: Theory and Practice (with Dr Sarah Maddison).